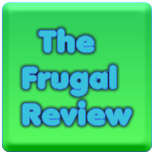 FRUGAL REVIEW: The Movie "Frozen" Is Available For Purchase Now! The Movie "Frozen" Is Available For Purchase Now! Purchase Frozen (2013) now through Amazon Instant Video in HD for $19.99!